English has surely become a global language, You can either owe it to the glottalization or the change in our outlook towards abroad. Either ways, number of students going abroad for their further studies has increased by leaps and bounds. This led to the development of English testing exams. There are many exams, however, the two most preferred are the IELTS and the TOEFL. But they are not the same. We already have talked about the difference in their formats. You can check it out in the following links. For now, we shall be talking about the the relationship between the scores of IELTS and TOEFL. Both of these exams use the Common European Framework (CEF) proficiency levels. And the scores bring them together. If you get an IELTS score of 4-4.5 or a TOEFL score of 57-86, you are a B1 proficient English knower. If your score in IELTS lies between 5-6.5 and the TOEFL score lies between 87-109, you are at B2 level. 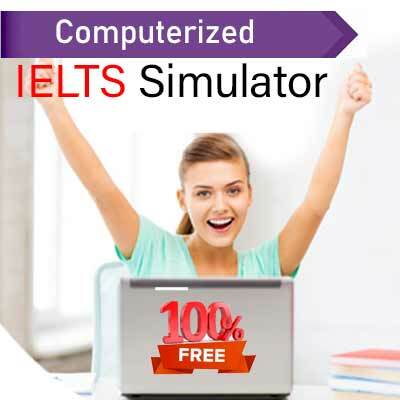 An IELTS score of 7-8 or the TOEFL score between 110-120 will land you at the C1 level. This is the level you can reach if you get an IELTS score of 8-9. Listening @ IELTS Or TOEFL? IELTS and TOEFL are two English language testing exams. Although they both are worldwide acclaimed, students do get confused whether to take IELTS or TOEFL! Well, for today lets find out the difference between the listening section of IELTS and TOEFL. 1.A conversation; It will be a conversation between two people, the one you usually have in everyday social connect. 2.A monologue; It could be a speech regarding the general, the usual social facilities provided. 3.A conversation among four people, set in some educational or business context. 4.A monologue on academic subject, could be a university lecture. 1.Informal-: It would include general daily like conversations; may be a conversation of university students or professor. 2.Formal-: This includes lectures on particular topics. The entire listening section lasts for 40-60 minutes. There are 2-3 conversational passages and 4-6 lectures. The questions appear while you are listening and so you don’t have time to read the questions before hand. Focus on what you want. Listen well. Don’t panic and remember, once you decide, there should be no stopping. Writing @ TOEFL OR IELTS? TOEFL-: The writing section in the TOEFL lasts for 50 minutes. It measures your skills when it comes to communicating well organized essays. You are checked on your grammar, spelling, vocabulary and sentence structure. 1.Integrated writing-:In this section, you will be given a reading passage and a listening passage. You are expected to make notes of them. You need to then write an essay explaining whether the two i.e. the reading and the listening are similar or different. The essay is about 150-225 words. You are given 20 minutes. 2.Independent writing-:In this section you are given a topic and you need to write an essay in about 300-350 words. 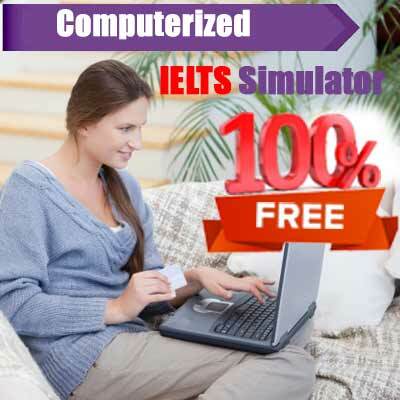 IELTS-: The writing section of IELTS lasts for 60 minutes. 1.You would be given a chart or a diagram. You need to explain it in an essay. 2.You will be given a point of view or an argument. You need to write an essay in a response to them. 1.You would be presented with a situation and asked to write a letter explaining the situation. The letter could be formal, informal or semi-formal. 2.An essay has to be written in response to a particular argument or point of view. It could be although a little personal as compared to that of academic. Figure out which of the above suits you best. Remember, it is not about the test you take but which test is more suitable to you. Go on, write, express yourself and fly high. IELTS speaking section lasts for 12 to 14 minutes. It takes place in the presence of an examiner. Your test is recorded and it is made sure that you are spontaneous. It takes place in three parts. It begins with the examiner asking you general questions about you. This lasts for four to five minutes. After this usually a small talk takes place between you and the examiner, which eventually leads to a lengthy discussion on a particular topic. Speaking section in the TOEFL lasts for about 20 minutes. There are six tasks that take place to find out how well versed you are in speaking. The first two tasks are independent. So, there are questions related to you. Your experience, your life and general stuff about you. The next four sections are integrated. In the first two you have a reading passage, usually short and a listening section. You need to remember them and then speak about them. You have got 30 seconds to prepare and 45 seconds to speak. In the next two sections, you listen to a conversation or a lecture and then you are asked to speak on a question asked related to it. You have 20 seconds to prepare and 60 seconds to speak. Decide well. Remember your choices and define your destiny. Make sure you have unique choices. Work hard, work smart, speak well, and achieve your goal.